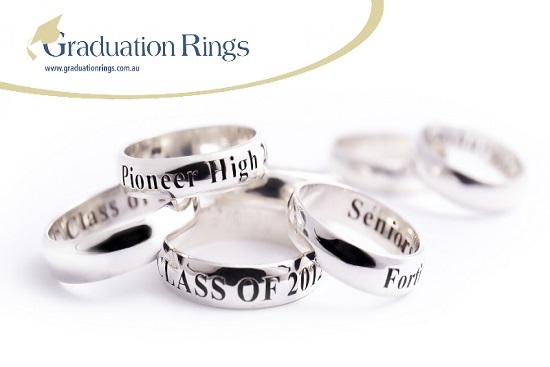 Graduationrings.com.au have found the perfect way to commemorate your special occasion. Celebrate your achievement for a lifetime. Graduation Rings have the perfect way to commemorate your special occasion with our custom made rings. For over 16 years, Graduation Rings have been manufacturing and wholesaling quality sterling silver jewellery worldwide. We are Australia’s largest high school suppliers of class rings, sports team rings, group rings and many more. We manufacture high-quality, stylish and custom made rings using only top quality silver. 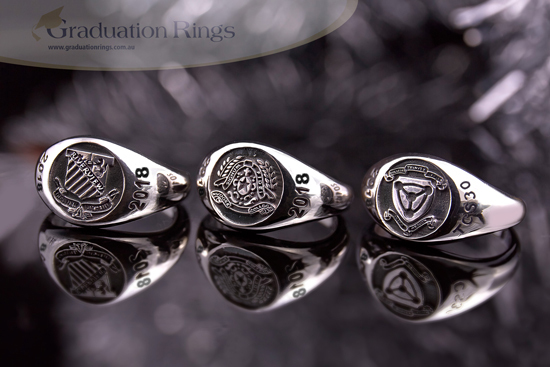 Our expert silver craftsmanship ensures that your graduation ring becomes a distinctive memento and a representation of your academic achievement. All rings are classically designed and custom made for each school, community or social group. Our cutting-edge technology is able to cast intriicate and beautiful detail on the surface of each solid sterling silver ring. The year is cast on the side of each ring or egraved on the back of each ring this will serve as a classic memoir for any important milestone. Each ring is beautifully packed and comes wrapped individually in its own velvet gift pouch. Our superior craftsmanship and special detail are guaranteed to make any special occasion last a lifetime.